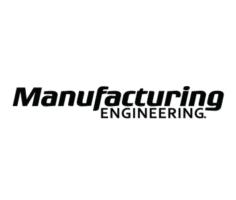 Manufacturing Engineering is a highly respected magazine serving U.S. engineers and other manufacturing professionals who use manufacturing technologies. The magazine’s history dates back to 1935, when SME first published it as Tool Engineer. In the 1960s, the magazine was called Tool and Manufacturing Engineer. In the 1970s, it became Manufacturing Engineering and Management. Since 1975, the magazine has been known as Manufacturing Engineering, or as our customers sometimes call us, M.E.